That is both sparkly in the extreme, and a very solid looking hand. Could this put a crimp in the Imps plan? oh-em-gee, what kind of face goes with that hand?! Khaki pants, big hands, and hairy arms. I glad you guys went this route for the tooth fairy. 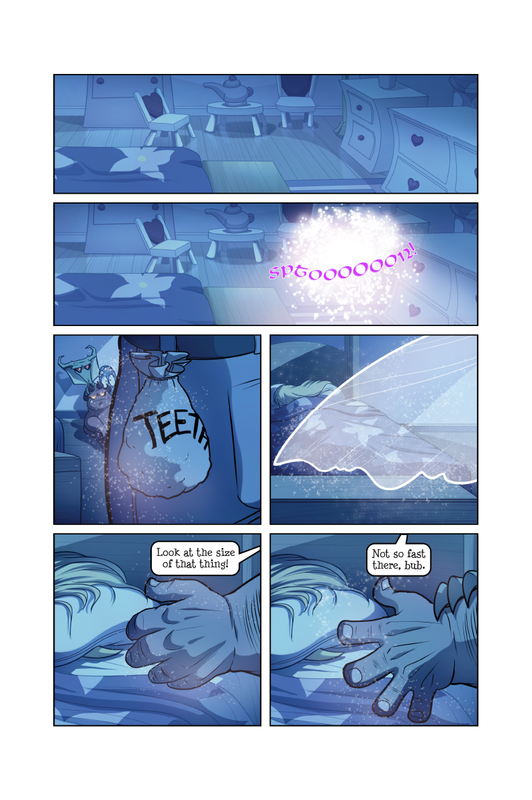 #1 the tooth fairy from Supermegatopia back when it was actually a comic site. Chuck Norris is the Tooth Fairy? That bag marked “TEETH” reminds me so much of a comedy scene in a play my mother told me about. @Kheda: if so, then they’re never getting anything out of him.